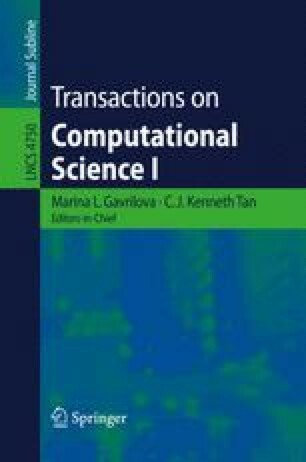 We propose an efficient nonparametric missing value imputation method based on clustering, called CMI (Clustering-based Missing value Imputation), for dealing with missing values in target attributes. In our approach, we impute the missing values of an instance A with plausible values that are generated from the data in the instances which do not contain missing values and are most similar to the instance A using a kernel-based method. Specifically, we first divide the dataset (including the instances with missing values) into clusters. Next, missing values of an instance A are patched up with the plausible values generated from A’s cluster. Extensive experiments show the effectiveness of the proposed method in missing value imputation task. This work is partially supported by Australian Large ARC grants (DP0559536 and DP0667060), China NSF major research Program (60496327), China NSF grant for Distinguished Young Scholars (60625204), China NSF grants (60463003, 10661003), an Overseas Outstanding Talent Research Program of Chinese Academy of Sciences (06S3011S01), an Overseas-Returning High-level Talent Research Program of China Ministry of Personnel, China NSF grant for Distinguished Young Scholars (60625204), a Guangxi NSF grant, and an Innovation Project of Guangxi Graduate Education (2006106020812M35).